OMG!!! 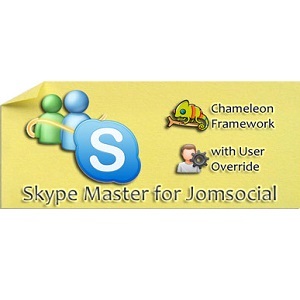 it's joomla skype master ported to jomsocial. 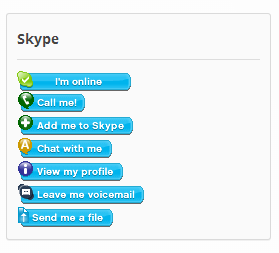 Now that Microsft bought Skype and phased out windows live messenger, skype became the world n.1 chatting, messaging application. After the huge success of skype master for joomla we decided to launch the supreme skype tool for your jomsocial website. 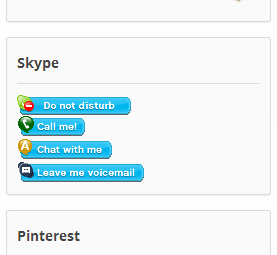 Skype Master for Jomsocial allows your jomsocial users to display 6 optional cool action buttons (all skype functions, Call Me, Add Me, Chat with Me, View My Profile, Leave Me Voicemail, Send Me a File and the new Skype Share viral button). Yes, that's right, all buttons are optional and it's up to the jomsocial administrator to decided which buttons to show on the website frontend. These buttons come packed with the 2 familiar skype colors (green and blue) to match your template and, with vertical or horizontal button alignment, they will integrate perfectly in Main Content or Sidebar Top / Bottom. But enough talk, read more below, check the screenshots and demo. 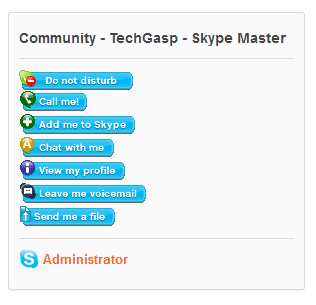 Skype Master for Jomsocial uses TechGasp Chameleon Framework for Jomsocial. It can be used as User Profile Plugin, Activity Stream Plugin and Jomsocial Module. Awesome 3 in 1!! !